We will be at Taylor Park again this year race . 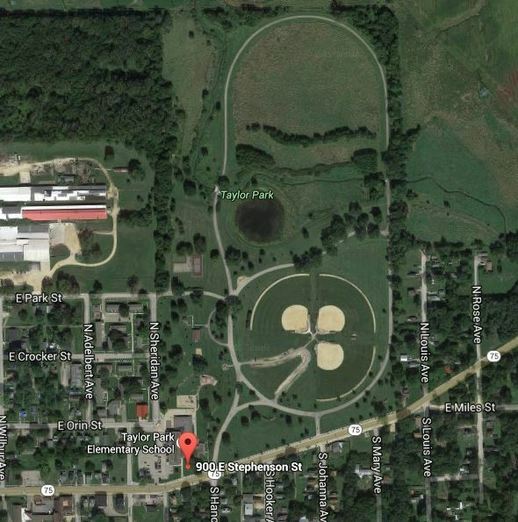 The race will be comprised of 3 loops around the historic Taylor Park, former site of the Illinois State Fair horse races making for a unique 5K experience. We wonder how fast those horses ran the loop? The Lincoln-Douglas 5K, One-Mile Fun Run and Kids Races combines a fun, fast, and competitive 5K race with a fun run and series of kids races that ultimately crowns the "Fastest Kid in Town." With a Start/Finish near the Lincoln statue in Freeport's historic Taylor Park, the LD 5K is family fun at its best! An untimed one mile fun run follows the first loop of the 5k course. Thanks to Joe Tamborello for the photos.